Blooming flowers and green grass might be beautiful, but they can also be sources of allergies. While allergens can affect you in a number of places, your home shouldn’t be one of them. 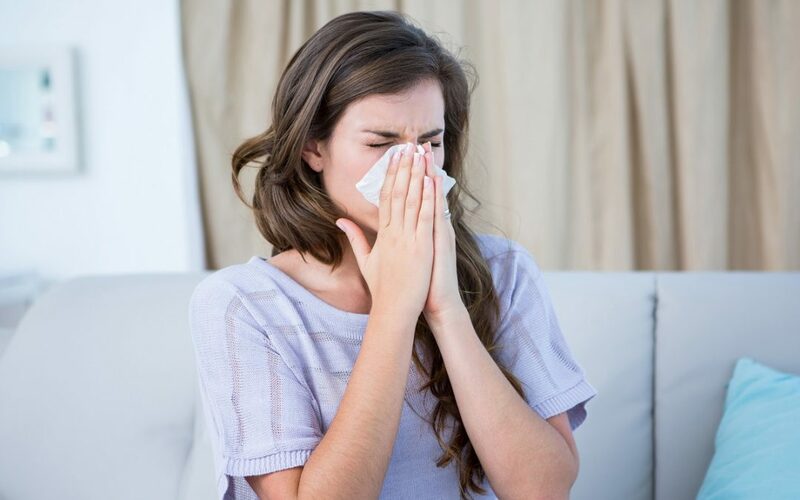 If you suffer from allergies, you might consider air conditioning installation in your home. As different plants bloom, they release pollen that is spread through the air. When we breathe in the pollen, it can become irritating and cause allergies. You might find that you only suffer from allergies at a particular time of year, which likely means that you’re only allergic to a specific plant. Others find that they are constantly fighting allergies, and this could mean that plants blooming in different seasons are causing the negative reaction. Grass is a common allergen that we might notice more during different times of the year. If you’re allergic to grass, your symptoms might worsen in the springtime when you and your neighbours start to mow the lawn more often. When cutting grass, you might notice particles that are pushed up from the ground. These can cause skin allergies or sinus symptoms. As much as you love your pet, they could be causing your allergies. Besides their fur, pets also have dander, which is what typically causes allergic reactions. You can’t get rid of their dander completely, but making sure your home has good air quality can help control the dander in the air. It’s easy to assume that all allergens are outside of our homes, but some are right within our own walls. Certain carpets and furniture can harbour certain fibres or dust mites that can aggravate allergies. If allergens are present in your rugs or carpet, they’re likely pushed into the air as people walk across them. Soft furniture like couches can also house allergens, so take note if you seem to have a reaction when lounging on the sofa. The most important job that your air conditioner does for your allergies is filter the air that’s inside your home. The filter inside your air conditioning unit catches the dust, pollen, and dander in the air as it passes through, which means less of those allergens make their way into your home. This filtration is especially important for people with allergies because it allows you to breathe cleaner air on a daily basis. Breathing cleaner air means fewer allergy symptoms all year round. Your air conditioning unit also controls the humidity in your home. Of course, the best thing about humidity control is that it keeps you cool and comfortable. However, controlling humidity can also help with your allergies. Certain allergens like mould thrive in humid conditions. Without humidity control, these allergens can grow without you even knowing. Your air conditioner keeps humidity low, which prevents allergens like mould from infiltrating your home. If you’re ready to gain control over the allergens in your home, air conditioner installation is a great place to start. Apex Airconditioning provides you with a range of air conditioners and can help you find the perfect unit for your home. No matter what model you choose, our dedicated installation division is ready to install your air conditioner so you can breathe easier. Our air conditioning experts will come to your home for a pre-installation assessment to help you choose the very best unit for you and your family. After you choose your air conditioner, our trained technicians will provide you with quality air conditioner installation and unit testing. After we ensure your new air conditioner is working perfectly, we leave your home clean so that you can enjoy your new addition. Have you found your allergy symptoms are improved when you have your air con running? To learn more about how Apex Airconditioning can help you with air conditioner installation, contact us today!